As Lewis Hamilton sets out to defend his World Championship title, the BBC will once again deliver Formula 1 fans a front row seat to all the action of the 2015 season. With extensive coverage across BBC TV, Radio 5 live and online – including an exclusive column from Lewis himself - audiences won’t miss a moment of the Brit’s defending season. On TV presenter Suzi Perry (centre) again heads up the team alongside chief analyst Eddie Jordan (right) and co-commentator and expert pundit David Coulthard (left). Lead commentator Ben Edwards takes fans around the track, with reporters Lee McKenzie and Tom Clarkson bringing all the news from the pit lane, and ex-driver Allan McNish providing additional analysis. Correspondent and commentator James Allen leads the radio coverage on Radio 5 live and 5 live sports extra with Allan McNish as co-commentator and Jennie Gow as pit lane reporter. Jack Nicholls also returns to the commentary box for five races this season. Malaysia is the first of ten live races on BBC TV this year, along with Lewis’s homecoming British Grand Prix at Silverstone in July. The climax of the 2015 season in Abu Dhabi, which last year saw 6.5m people tuning in to watch the final battle for the World Championship, will also be live on BBC TV. Coverage of qualifying and races from the Grands Prix not live on TV will be shown in the popular extended highlights programmes. Brand new for 2015, Suzi Perry presents Formula 1 Rewind on BBC Two at key points of the season as F1 legend Murray Walker delves into the BBC archive to recount the classic Grands Prix of the past. 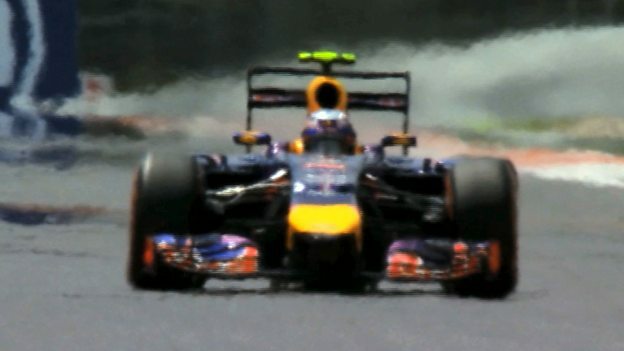 Formula 1 Rewind will also be repeated on the BBC Sport website and fans catch up on the action on BBC iPlayer. This year, in an exclusive column for the BBC Sport website, reigning champion Lewis Hamilton will preview every Grand Prix weekend and share his thoughts on his ongoing performance throughout the season. Also there’ll be regular analysis from David Coulthard and Allan McNish, plus all the race reports and news thoughout the season from the BBC’s chief F1 writer Andrew Benson. The BBC F1 website last year attracted an average of 3.3m UK visitors each week, an increase of more than 50 percent on 2013, and this year’s digital offering is even stronger. Live TV races, 5 live audio from every session, text commentary and the best of social media will come together at the new BBC Live page, making it the one-stop-shop for all BBC F1 content in 2015. On live race weekends fans control how they watch the action, with five different video options to choose from in addition to the network TV coverage: the pit-lane camera; a driver tracker; a stream of on-board cameras; the TV pictures with Radio 5 live commentary over the top; and a timing screen. A highlights package will also be available to watch after every race. And you can keep in touch on the move through the BBC Sport app, where you can now sign up for alerts on the result of every track session through the season. Audiences can access the BBC’s digital coverage by visiting the BBC Sport website through any device, and via the BBC Sport app. Every Grand Prix of 2015 will be live on Radio 5 live or 5 live sports extra including coverage of practice and qualifying. Radio 5 live will look ahead to every race weekend in the preview show on a Thursday night while the Chequered Flag podcast, available to download at the end of the weekend, then looks back on all the action from the circuit. All TV, radio and online coverage will be supported through the range of BBC social media platforms, which are followed by millions of fans in the UK and across the globe. The @bbcf1 account will provide the latest news and behind the scenes coverage from across output, with audiences encouraged to share their views using #bbcf1. The BBC Sport Instagram account also brings exclusive behind the scenes photos while BBC Sport Facebook and BBC Sport Google+ page will extensively cover every race. The BBC has a deal to broadcast Formula 1® racing, through to and including 2018. Highlights Race weekends – ALL visual coverage is highlights: including television, online, red button. Radio and online text commentary is live.